Get your own personal instructions for "waterless" cooking! 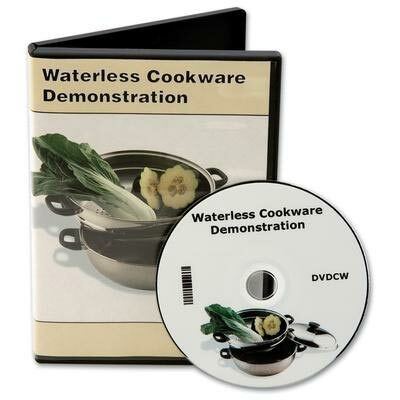 If you want to learn about waterless cooking for healthier eating, this DVD for Waterless Cookware is one you should own. Video runs approximately 16 minutes, 20 seconds. Both languages on same DVD. Special cookware instructions Valuable tool if you are learning about or already using a waterless cookware set. Cooking information Includes the benefits of minimum moisture cooking in waterless pots and pans, how to use the cookware, and other helpful hints.